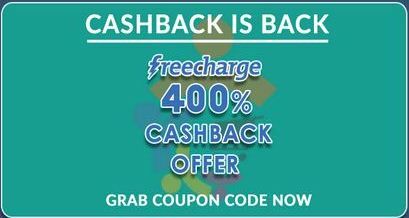 Hello Frndzzz.... www.dealsnloot.com Back With New FreeCharge Cashback Offer. Namkeenwale offering Recharge & Bill payments Rs. 40 Cashback on Rs. 10. Offer valid only for new Freecharge users. Recharge ​for​ Rs.​ 1​0 and Get Cash Back of Rs.​ 4​0 (Pre-Paid / Post-Paid Bills / Bill Payments / DTH / Data Card). Cash back will be credited within 24 hours of the transaction into the user’s FreeCharge account with 6 months validity. Valid only once per Unique Mobile Number/IMEI no./User/Credit/Debit Card.